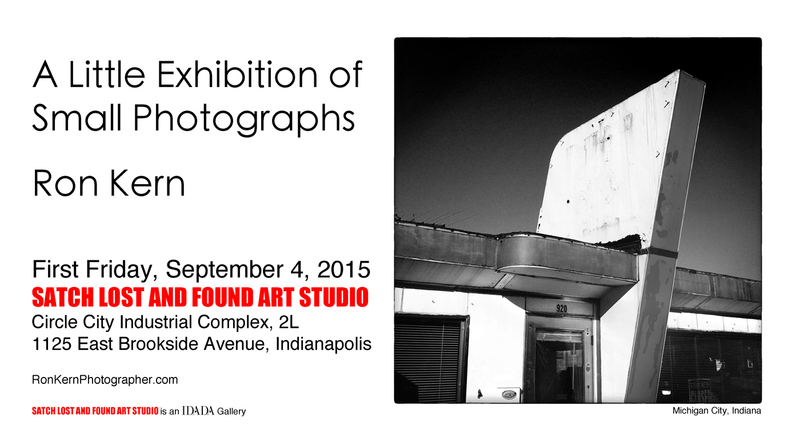 SATCH LOST AND FOUND ART STUDIO is extending my exhibit, A Small Exhibition of Little Photographs, through this First Friday, September 4, 2015. We will be at the Studio at the Circle City Industrial Complex from 6 pm to at least 9 pm. Please come join us. I am very pleased with this work and very happy to have it presented to the public.